Update #3: The song is also now available on Google Play and Amazon MP3. Update #2: RihannaNow.com appears to be up and running. Enjoy the new song! Update #1: According to Rihanna Daily, the song is now available for purchase on iTunes. STOP WHAT YOU'RE DOING, EVERYONE! NEW RIHANNA MUSIC IS HERE! Minutes ago, Rihanna shared the above photo on herself, Kanye West and Paul McCartney on her Instagram account. 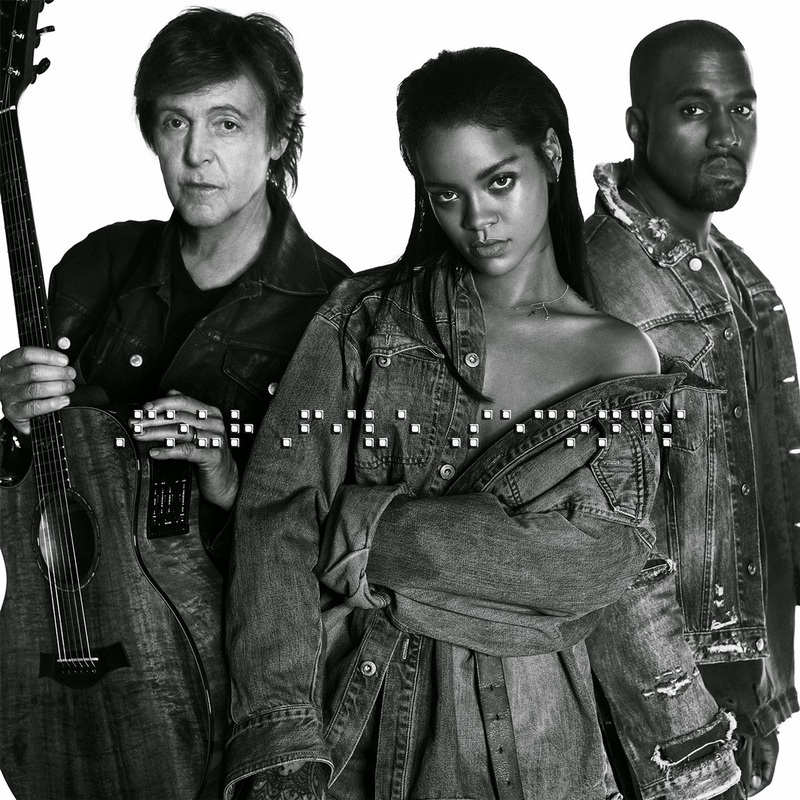 According to Rihanna Daily, the artists have collaborated on a new song called "FourFiveSeconds." The blog directs readers to RihannaNow.com to hear the song, but there must be some type of overload or crash, because the site is currently unavailable. As soon as a working link is provided, this site will be updated!